According to the one and only Bob Lutz. Former GM, Chrysler, BMW and Ford executive Bob Lutz knows a thing or two about the car business, putting it mildly. The retired executive is also a true car guy who often butted heads with the more, shall we say, politically correct marketing people. Lutz has also been an outspoken critic of Tesla, specifically its CEO Elon Musk. While the two are personally friendly, Lutz has taken Elon to task over his management skills, specifically Tesla’s inability so far to generate any profit. Lutz went so far as to predict Tesla will be out of business by around this time next year. And now he’s speaking out again, just recently at a Scottsdale, Arizona vintage car collector’s event. 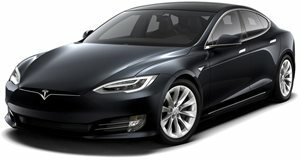 According to the LA Times, Lutz suggested for collectors to buy the Tesla Model S while they still can. "A Model S, especially with the performance upgrades, is one of the fastest, best handling, best braking sedans that you could buy in the world today," he said at a Hagerty-sponsored forum. "The acceleration times will beat any $350,000 European exotic.” However, Lutz added that Musk "hasn't figured out the revenues have to be greater than costs...when you are perennially running out of cash you are just not running a good automobile company. “I don't see anything on the horizon that's going to fix that, so those of you who are interested in collector cars may I suggest buying a Tesla Model S while they're still available." Thing is, Lutz makes somewhat outlandish comments like this often enough, so following his speech he was asked again about how serious he really was. He admitted he was “semi-serious” regarding his suggestion. 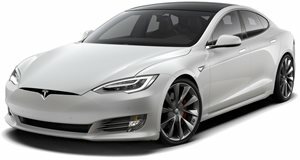 Then he had this to say: "Twenty-five years from now, (the Model S) will be remembered as the first really good-looking, fast electric car. People will say 'Too bad they (Tesla) went? broke.'"